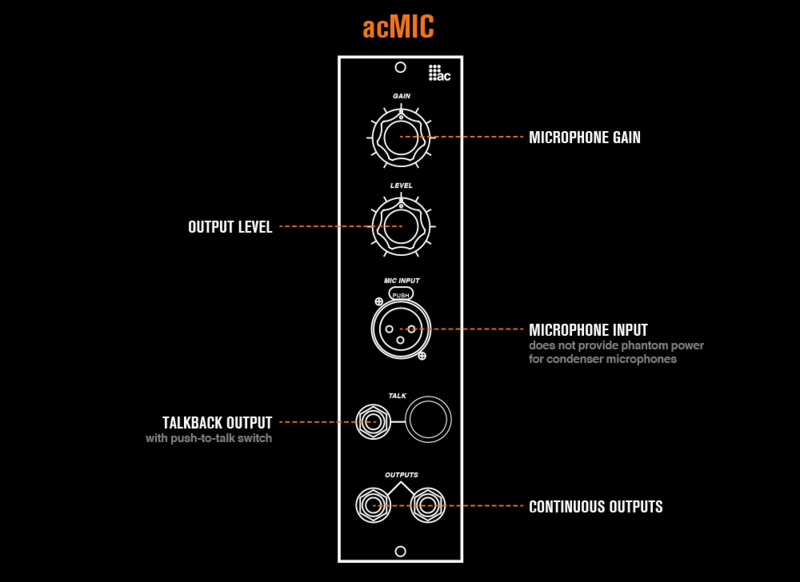 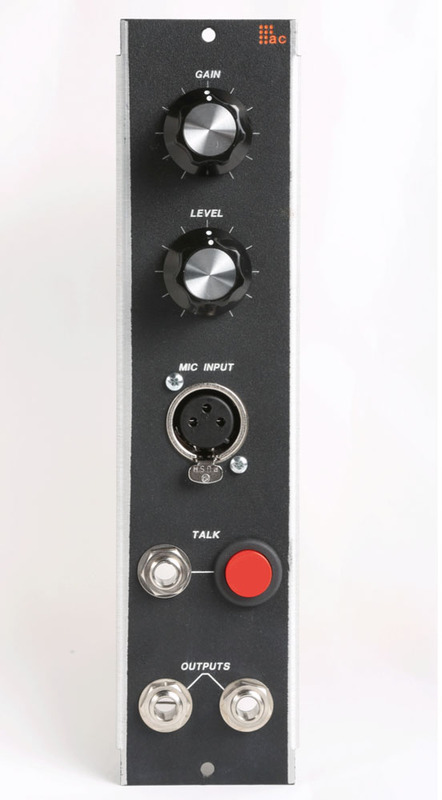 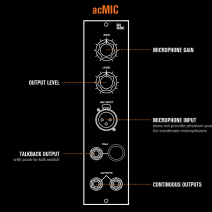 A 5U mic preamp with gain and output amount. 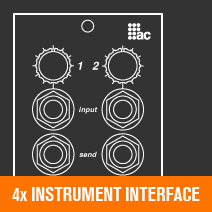 Simplify running vocals and other miced sources through your modular. 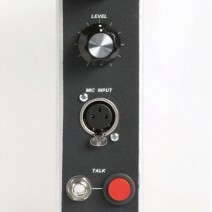 Push to talk output and two continuous outputs.